Attorney Jainchill is known for his compassion and dedication on behalf of his clients. Attorney Jainchill has litigated legal matters to conclusion in almost every courthouse in Connecticut, many of those matters to a jury verdict. He has successfully obtained six figure jury verdicts for clients and substantial out of court settlements. He currently concentrates his trial practice in personal injury and criminal defense litigation. Attorney Jainchill is Board Certified as a Civil Trial Attorney by the National Board of Legal Specialty Certification, an honor bestowed on less than 100 attorneys in Connecticut and less than 4% of attorneys nationwide. He has also been recognized by the National Trial Lawyers Association as a Top 100 Trial Lawyer in Connecticut. He has also achieved the honor of Fellow by the American Association for Justice, a national organization dedicated exclusively to protecting the rights of the injured and defenseless. Additionally, he is a active member of Connecticut Trial Lawyers Association, Hartford County Bar Association and the Connecticut Bar Association. He is admitted in both State and Federal Courts. In addition to being a partner at Jainchill/Beckert, Attorney Jainchill serves as Assistant Town Attorney for Vernon-Rockville, Connecticut, and has done so since 2007. Aaron volunteers his time in the community and serves on the Board of Directors at the Wheeler YMCA in Plainville. 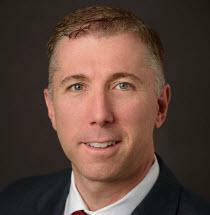 Aaron serves on the Board of Directors at Tunxis Community College. Aaron and his family reside in Farmington where he dedicates his time as an All-Star Baseball Manager and Board Member of the Farmington Youth Baseball League as well as the Vice President of the West Hartford Youth Hockey Association.